After evaluating your bail condition and sharing payment options with you, Steven Mehr Bail Bonds will create your custom payment plan to help you achieve the freedom you need to go on with your life. Did you know we are one of the oldest bail bond companies in California? Our bail bond company comes from a lineage dating back to 1927. Knowing this you will know service and reliability is our priority. Don’t let bad decisions hold you back any longer, take control of your life! We offer affordable payment options and we guarantee our bail rates to be the lowest allowed by law. Steven Mehr bail bonds is a licensed bail bond company established since 1927. Our history and integrity speaks for itself, earning us the reputation of being the #1 recommended bail bond company in the nation. 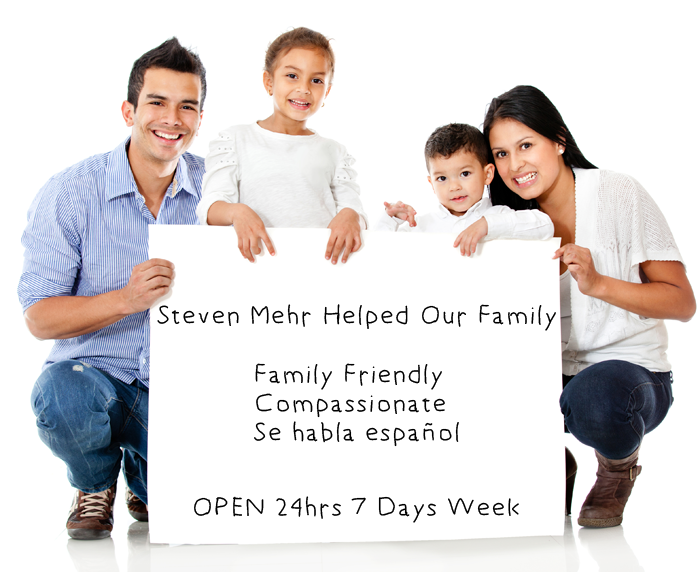 Why Choose Steven Mehr Bail Bonds? We are one of the most reputable agencies in the business and have provided a family owned and operated since 1927. Our legacy in the bail industry spans 4 generations and being a family business our goal is to help you and your family during this difficult process. With our large network of agents and our ability to stay proactive on any new technologies, we can immediately service all jails in California. Proudly we are members of the Better Business Bureau. Our professional bail bondsmen are available for free consultations 24 hours a day, 365 days a year. Call us toll free at 800-834-8522. Since 1927, our agency has been providing bail bonds throughout Orange County and all of California. We are a family owned and operated business, with four generations having served our community. Bail bonds are our business and we do the very best job possible for every client. We have an extensive network of agents that are well educated when it comes to the newest technological advances. We are capable of working with every jail in the state and understand how the system works. 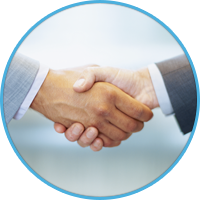 As members of the Better Business Bureau, our agents are the ultimate professionals. We work with attorneys, court officials and law enforcement officers so we can help you get through an already difficult time. Call us today at 1-800-834-8522. Our professional agents are ready to provide free consultations and reputable service whenever you need us: 24/7/365. Our staff understands that your time is important. We serve our clients quickly and efficiently so you can return to your normal routine as soon as possible. We do everything within our power to make sure each of our bail bond clients are satisfied with our performance. Call our office today at 800-834-8522 for the fastest service possible. Each of our bail bonds agents are qualified and highly trained to help you with all of your bail bonds needs, no matter where you are in the state of California. We are proud to say that much of our business comes from referrals, either through attorneys or their clients who have had to use our services in the past. Throughout the state of California, we work with a large number of criminal defense attorneys. They count on us to provide the best possible bail bonds service to their clients. It doesn't matter what type of bail bond you need, we can help. For over 88 years, the staff of Steven Mehr Bail Bonds has been able to help their clients work their way through the court system. We know how the system works and what is expected of each party. We go to great lengths to make sure everything is handled correctly and that everyone gets exactly what they need to complete the process. Many of the people who contact our office have never had to deal with a bail bonds agency before. The entire process can be frightening and more than a little frustrating. We are here to take the guesswork out of the situation. We will answer your questions and make sure you have a thorough understanding of everything that is going to be happening. We appreciate your business and are willing to bend over backwards to build a relationship built on trust and respect. If you need us, we will always be there whether it is to answer your questions or secure a bond for your loved one's release from jail. Why Steven Mehr Bail Bonds? No two arrests are the same. Each one has a unique set of circumstances behind it. If you live in California, you want a bail bond agent who knows and understands California law. If they don't, mistakes could be made that can end up being quite costly. With each county having its own way of doing things, a bail bond agent who is unfamiliar with the way things work can lead to misinformation and misunderstandings. Steven Mehr Bail Bonds has been working in the bail bonds industry for 88 years. We have a level of expertise that is unmatched in our area. We provide top quality service. We are available whenever you need us, including weekends and holidays. When you call our office, you will speak to a live agent. We do not use answering machines or recorded messages. We work with some of the best criminal defense lawyers in the state. We appreciate our clients and want to make sure hey have every advantage. Arrests usually occur at the most inopportune times, especially when it comes to finances. We know it can be difficult to come up with bail money and it doesn't help matters that a defendant must remain off of work until bail is arranged. It's for these reasons that we provide convenient, interest free payment plans that are designed to fit almost any budget. We offer flexible payments and will work with to set up a payment schedule that you can handle. If you qualify for one of our payment plans, we can have it set up and in place in a matter of minutes. We try to do what is best for all involved. In some cases, bail is just not a wise choice. In others, keeping the defendant in jail overnight may result in dramatically reduced bail amount. We look at the entire situation and try to determine the best way of handling the situation. We have been in the business long enough to know what is important. We are here to make sure our clients get the best deal possible out of a bad situation. We take pride in running an ethical and upstanding business. You expect the truth and we are here to give it to you. We know it can be difficult to get to us, so we make it easy on you. Our agents are located all over California and can come to you whenever you need us. 24 hours a day, 7 days a week, 365 days out of the year, no matter where you are. We can be there. If you prefer, we can even arrange bail over the phone, through an email or even using a fax. You are always welcome in our offices as well. It is our goal to provide the fastest, most efficient bail bonds service anywhere in the state of California. If you need us, we will be there. We have a large network of agents strategically placed throughout the state of California. We can have an agent ready to serve in a very short amount of time. We understand this is a difficult time and we are here to give you peace of mind. No matter where you are in California, from Los Angeles to Orange County, we will be there. We have agents who are experts at what they do. 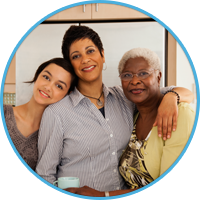 They are proficient in every detail and make sure your loved one is treated fairly and their rights are protected. We have been in business for over eight decades. We know how bail bonds work. When you need to get a loved one out of jail and you want the job done right, your first call should be to our office. When you need help with a bail bond call our office immediately at 1-800-834-8522. Our agents are on call 24 hours a day, including weekends and holidays. A licensed bail bond agent will answer the call and help you understand what is happening. We are here to answer your questions and make sure you have all of the information you need to make an informed decision.